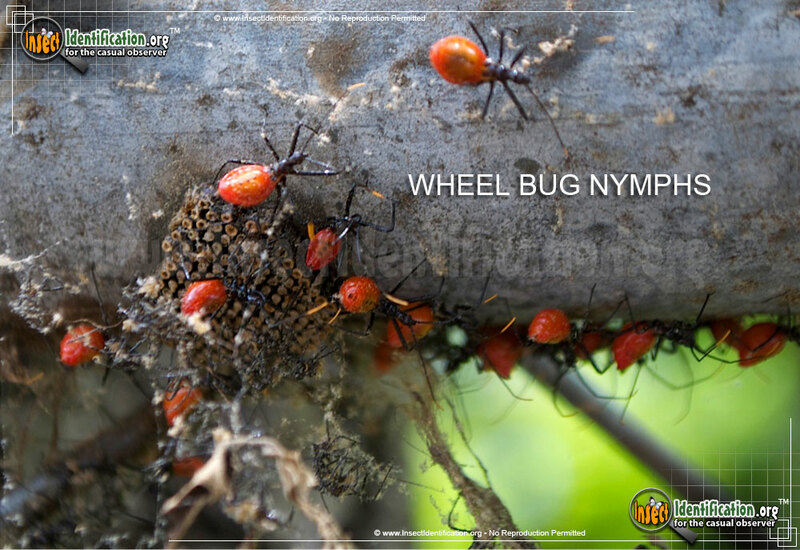 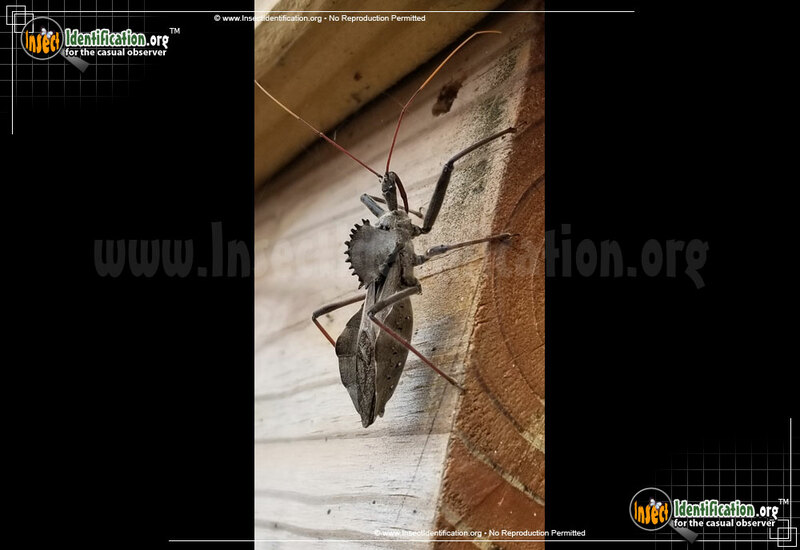 Detailing the physical features, habits, territorial reach and other identifying qualities of the Wheel Bug. The ridge-backed Wheel Bug is a stealthy assassin with a fang that even humans would be wise to avoid. 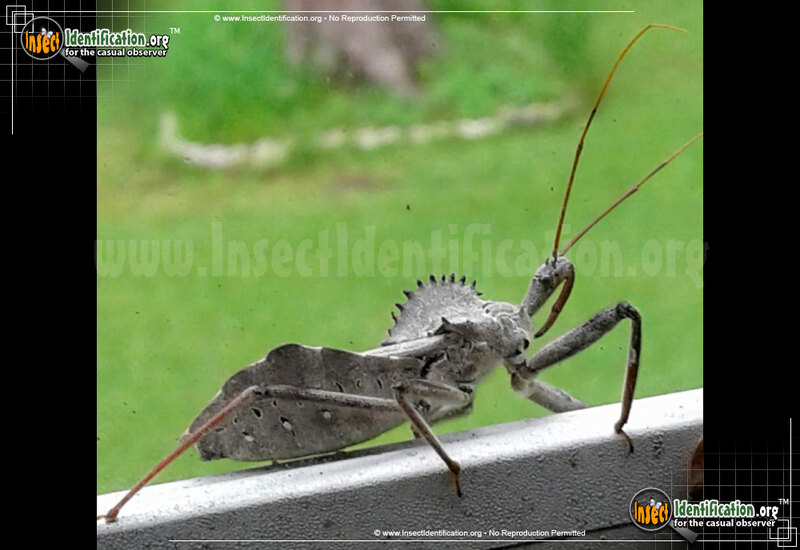 This large insect is well-noted for its incredibly painful bite when disturbed or nonchalantly handled. 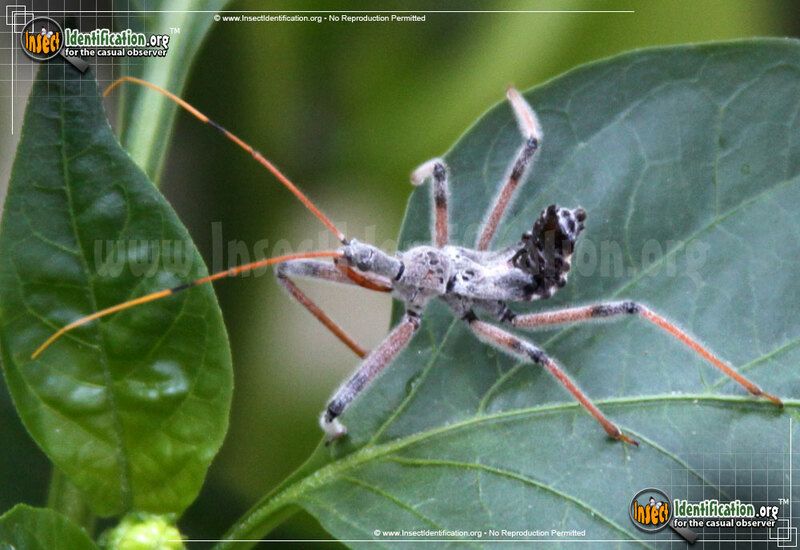 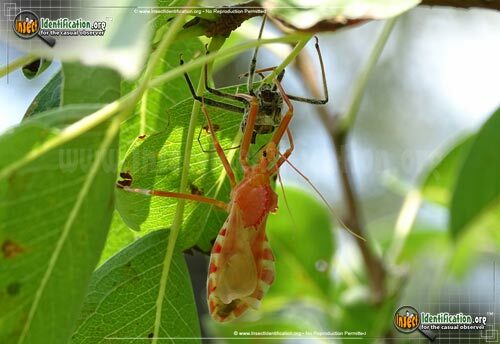 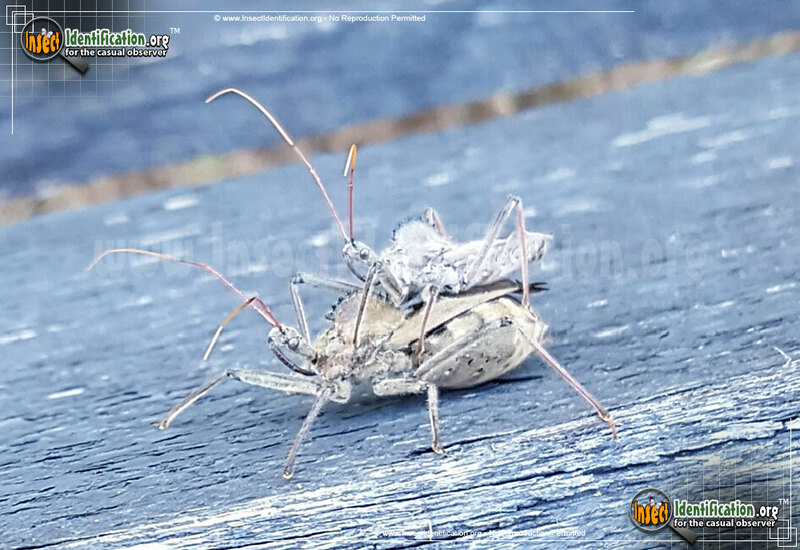 A member of the Assassin Bug family, the Wheel Bug attacks other insects using a series of vicious stabbing motions with the 'fang' at the front of its head. This is the same fang that painfully stabs people who handle it or disturb it. 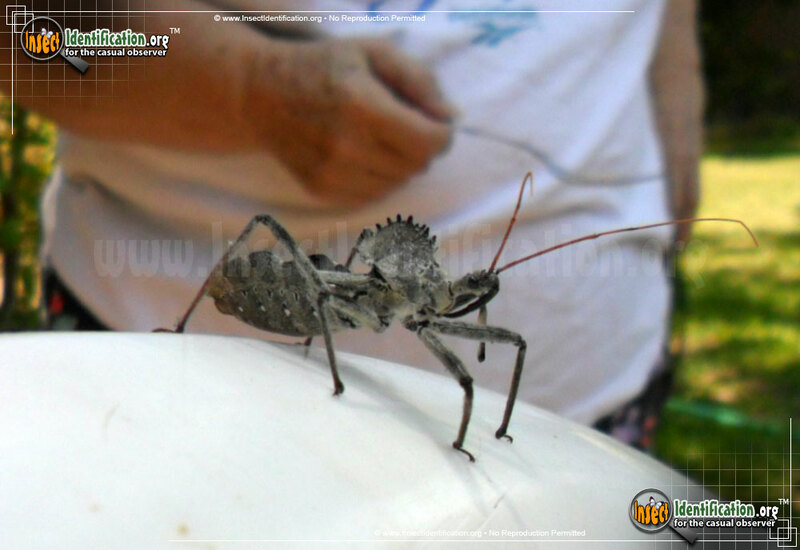 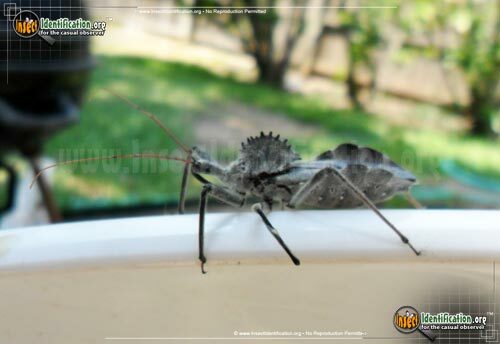 The Wheel Bug is best identified by the ridged, or spiny, wheel on its pronotum (back). 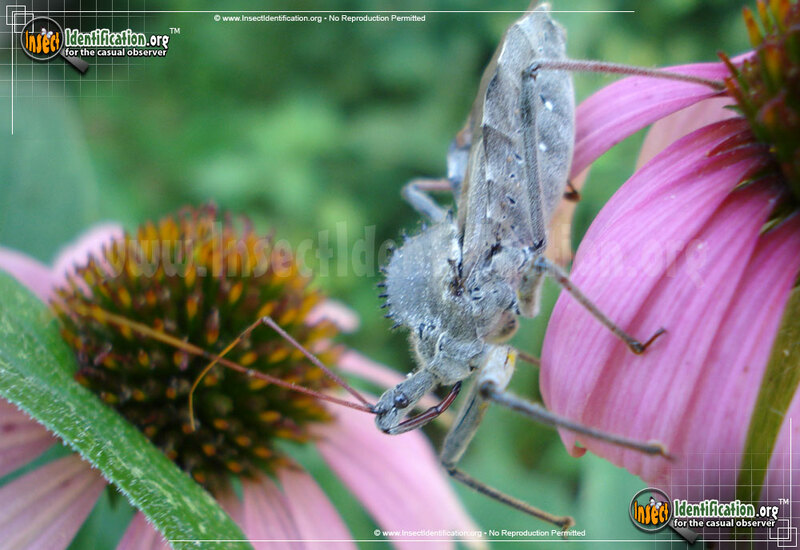 Adults are a dusty gray color that may be pale enough to look white. The narrow head has two large black eyes on either side. 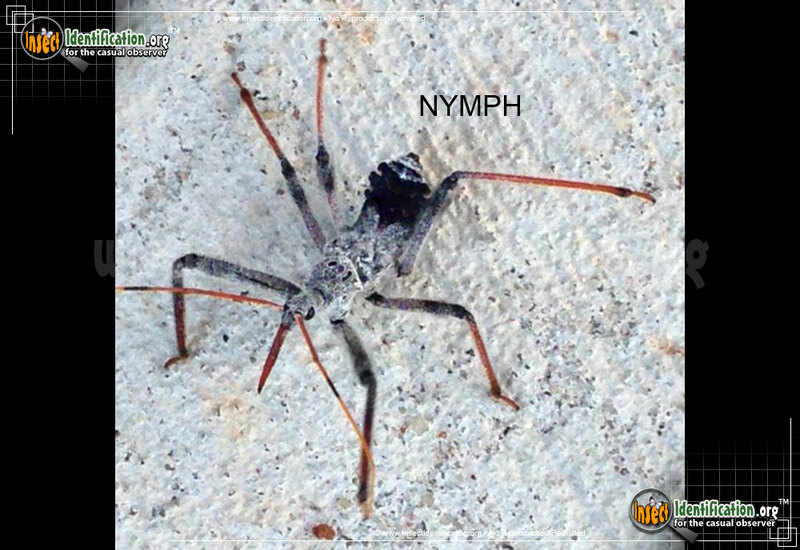 The long, dark fang tucks in under the face. 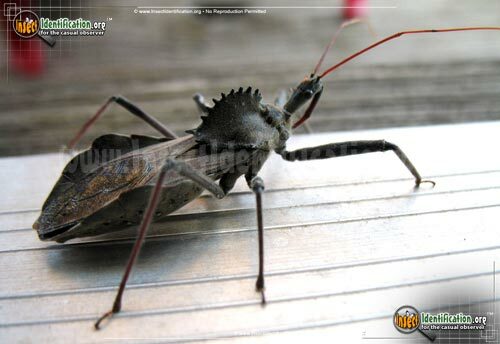 Antennae are red-orange. Females lay eggs on twigs and branches in clusters that almost resemble a honeycomb shape. 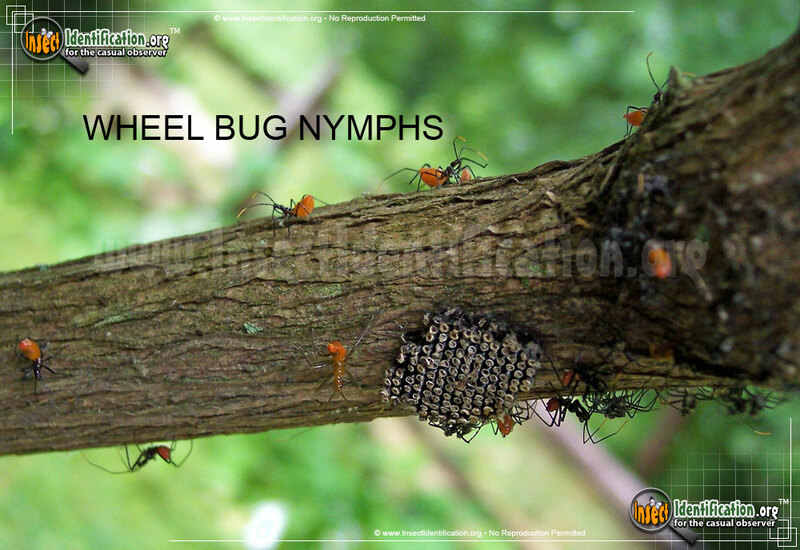 Tiny larvae hatch and look completely different from their adult form. These small red and black larvae molt many times before growing to adult size and developing the 'wheel' on their backs. 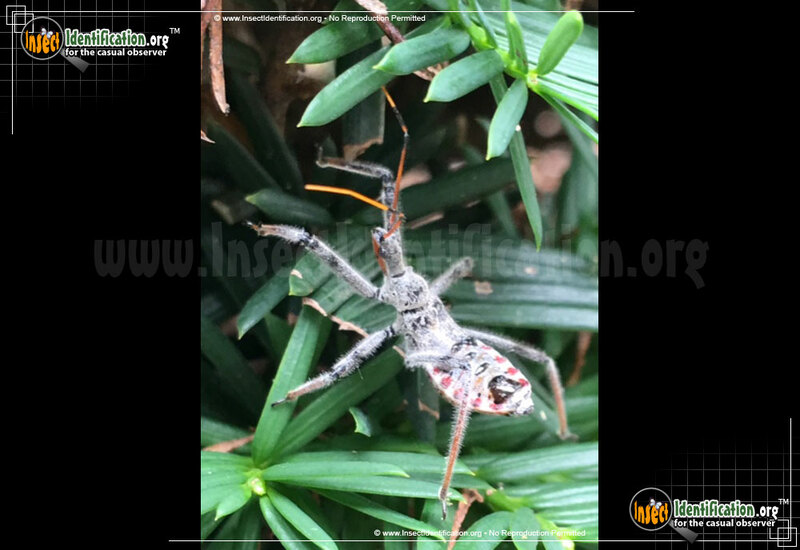 The fang is present even at this early stage of life. 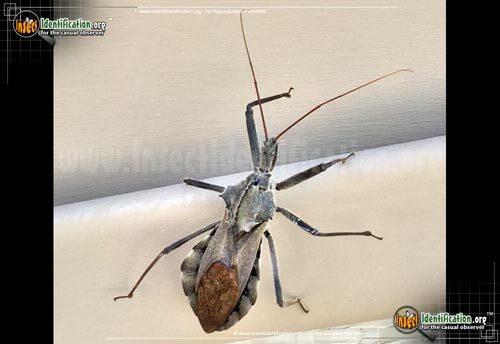 The Wheel Bug operates primarily from summer into fall and feeds on other insects including slow-moving caterpillars. 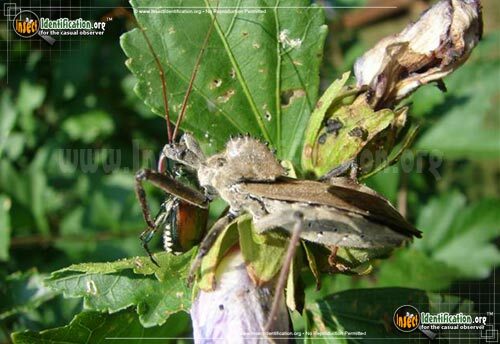 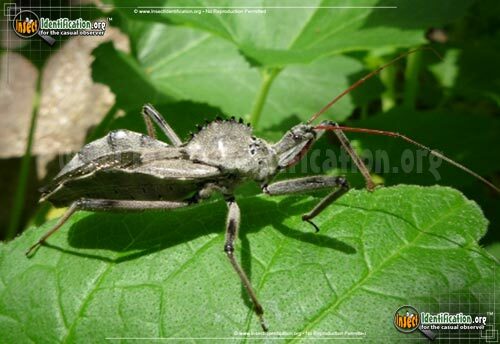 Its diet forces the Wheel Bug to reside primarily in leafy areas like forests, parks, or shrubbery. Look for them hiding among the dense foliage of plants.